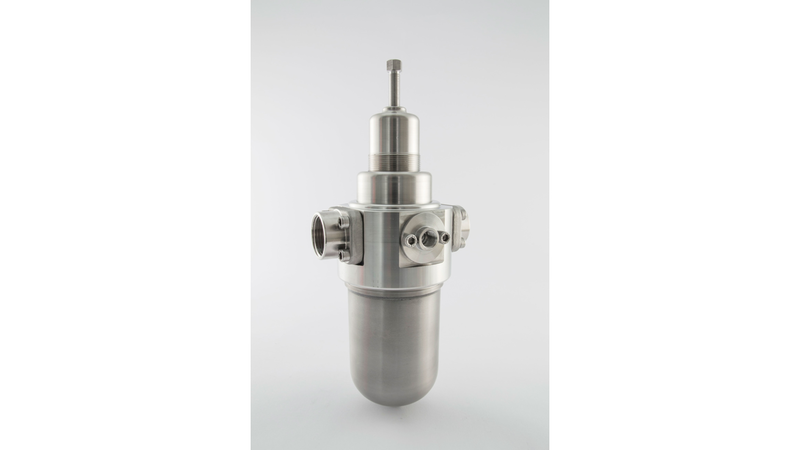 Filter regulator for inlet pressure up to 30 bar (435 psi) in the standard execution. Connections 3/4"-F , 1"-F , 1"1/4-F and 1"1/2-F, by flanges screwed to the body . Other connections available on request. Outlet pressure is controlled by a piston in stainless steel (AISI 316L). Available with filtration: 5 or 50 micron. Available versions with automatic drain or manual drain SM. Over pressure relieving in the standard execution.